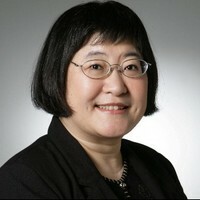 As a Distinguished Professor at the University of Missouri-Kansas City Conservatory of Music and Dance, a prolific composer and recipient of the prestigious Charles Ives Living Award from the American Academy of Arts and Letters (2001-04), Chen Yi* blends Chinese and Western traditions, transcending cultural and musical boundaries. Through doing so, she serves as an ambassador to the arts, creating music that reaches a wide range of audiences, inspiring people with different cultural backgrounds throughout the world. She holds both a BA and MA in music composition from the Central Conservatory of Music in Beijing, and received her DMA from Columbia University in the City of New York, studying composition with Wu Zuqiang, Chou Wen-chung and Mario Davidovsky. She was elected to the American Academy of Arts and Sciences in 2005. Chen Yi's music has been commissioned by Yehudi Menuhin, Yo-Yo Ma, Evelyn Glennie, the Cleveland Orchestra, the BBC, the Seattle, Pacific, and Singapore Symphonies, the Brooklyn, New York, and Los Angeles Philharmonic, Sächsische Staatskapelle Dresden, the St. Paul Chamber Orchestra, Raschèr Saxophone Quartet and Stuttgart Chamber Orchestra, Orchestra of St. Luke's, and recorded on many labels, including BIS, New Albion, CRI, Teldec, Telarc, Albany, New World, Naxos, Quartz, Delos, Angel, Nimbus, and KIC. Dr. Chen has received fellowships from the Guggenheim Foundation (1996) and the National Endowment for the Arts (1994), as well as the Lieberson Award from the American Academy of Arts and Letters (1996). 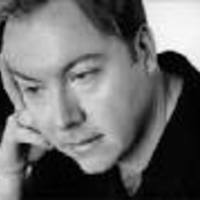 Other honors include first prize in the Chinese National Composition Competition (1985), the Lili Boulanger Award from the National Women Composers Resource Center (1993), New York University’s Sorel Medal (1996), the CalArts/Alpert Award (1997), a Grammy Award (1999), the University of Texas Eddie Medora King Composition Prize (1999), the Adventurous Programming and Concert Music awards from ASCAP (1999 and 2001, respectively), the Chamber Music Society of Lincoln Center’s Elise Stoeger Award (2002), the Edgar Snow Memorial Fund’s Friendship Ambassador Award (2002), the Kauffman Award in Artistry/Scholarship from the UMKC Conservatory (2006), and honorary doctorates from Lawrence University in WI (2002), Baldwin-Wallace College in OH (2008), the University of Portland in OR (2009), and The New School University in NYC (2010). Chen Yi was the first woman to receive a master’s degree in composition in China (June 1986) when she gave an evening concert of her orchestral works in Beijing, performed by the Central Philharmonic of China. She is also the first woman to give an evening multimedia orchestral concert in the US (for orchestra, choir, Chinese traditional instrumental soloists, dancers, and image projection – the Chinese Myths Cantata), which occurred during her 3-year residency with The Women's Philharmonic and Chanticleer (May 1996), supported by Meet The Composer. She has given two more whole evening concerts of her orchestral and choral works presented by the China National Symphony Orchestra and Chorus in 2001 and 2008, and was appointed Changjiang Scholar Visiting Professor at the Beijing Central Conservatory by the China Education Ministry in 2006. Premieres in 2009 included Septet, a mixed ensemble piece for Prism Saxophone Quartet and Music From China, Prelude and Fugue for the St. Paul Chamber Orchestra (MTC/ASOL Music Alive Residency), a duet From Old Peking Folklore for the Music Teachers’ Association of California Friends of Today, and Jing Marimba for the Zeltsman Marimba Festival. New commissions include a wind ensemble work, Dragon Rhyme, premiered by the Hartt School of Music Wind Ensemble at Carnegie Hall, a work for the San Francisco Girls Chorus and Cypress String Quartet, and a work for solo violin (in memory of her violin teacher Lin Yaoji) to be premiered at the China National Concert Hall. Future commissions in 2011 include works for eighth blackbird, the Mid-America Competing Band Directors Association, the American Choral Directors Association, Singapore ACJC, Gustavus College Orchestra (MN), Central Bucks High School Choir (PA), and the Seattle Symphony. Recent world premieres from 2008 include a song cycle From the Path of Beauty for Chanticleer and the Shanghai String Quartet, Suite from China West for the Metropolitan Wind Symphony, Tunes from My Home for the Newstead Trio, a recorder concerto, Ancient Chinese Beauty, for Michala Petri, Concerto for Reeds for oboe, sheng, and chamber orchestra, Rhyme of Fire for the Royal Philharmonic Orchestra (commissioned by the BBC Proms and conducted by Leonard Slatkin), Woodwind Quintet No. 3 for the Eastman School of Music, and Prospect Overture for the China National Symphony Orchestra, commissioned by and premiered at the China National Center for the Performing Arts to celebrate the 2009 New Year in Beijing, conducted by Daniel Harding. Important premieres in 2007 include Three Bagatelles from China West for flute and piano at Carnegie Hall (for the 21st Century project Meet The Composer flute book, Eight Visions), Tibetan Tunes for the New Pacific Trio (Barlow Endowment for Music Composition Commission Award), Looking at the Sea for the Peninsula Women’s Chorus, and China West Suite for Dennis Russell Davies and Maki Namekawa at the Ruhr Piano Festival in Germany. Other world premieres in 2005 and 2006 include Celebration for the Maryland Classic Youth Philharmonic, Spring in Dresden for Mira Wang and Sächsische Staatskapelle Dresden (co-commissioned by the NY Phil, premiered in Germany), the 2006 Pulitzer Prize Finalist Si Ji (Four Seasons) for the Cleveland Orchestra (a Roche Commission, premiered at the Lucerne Music Festival in Switzerland, Severance Hall in Cleveland, and Carnegie Hall), Ji-Dong-Nuo, commissioned by Carnegie Hall for Emanuel Ax, Ancient Dances for Wu Man, commissioned by the Walton Arts Center in Arkansas, The Ancient Beauty for Music From China and the Philadelphia Classical Symphony, and Han Figurines, commissioned by Opus 21 and Fontana Chamber Arts.